Sold as a safe alternative to tobacco, electronic cigarettes have caught on with young people. Today, more adolescents “vape” than smoke. The use of e-cigarettes among high school students jumped 900% from 2011-2015, the U.S. surgeon general said in December. The nation’s highest-ranking doctor declared teen vaping a major public health threat. 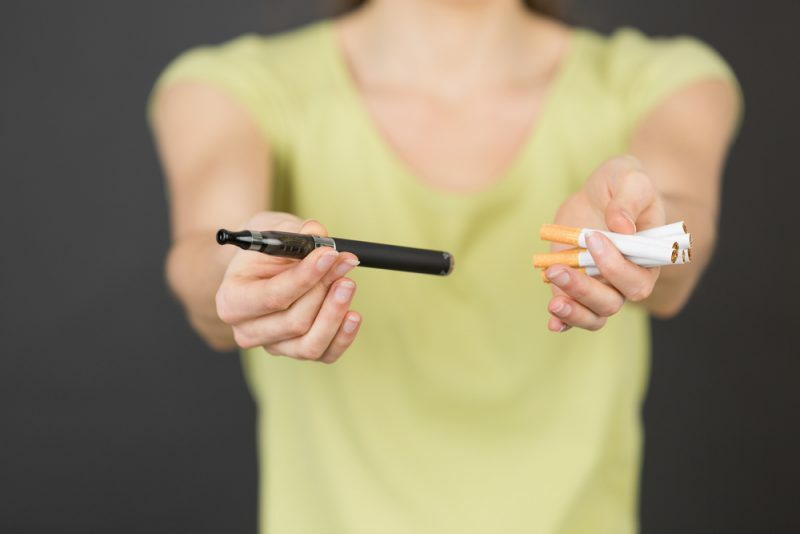 Dr. Gregory Omlor, director of Akron Children’s Division of Pediatric Pulmonary Medicine, said there are concerns and many unanswered questions about the devices, which heat liquid containing nicotine, flavorings and other chemicals to create vapor. Nicotine can affect the brains of adolescents, and the liquid solution in e-cigarettes contains potentially harmful chemicals, including carcinogens. “Nicotine is a highly addictive substance that’s been shown to have an affect on teenagers’ brains, and can lead to more addictive behaviors,” Dr. Omlor said. The effects of inhaling various chemicals and flavorings in e-cigarettes have not been studied, he said. Because the industry hasn’t been regulated, different chemicals used by manufacturers are not publicly known. Scientists are investigating the health effects on users, as well as those exposed to the aerosol secondhand. The U.S. Food and Drug Administration in 2016 said it would regulate e-cigarettes. Dr. Omlor said that is a major step forward. The American Academy of Pediatrics recommends that tobacco and e-cigarettes not be sold to anyone under 21.